The art of motion pictures has always inspired me. As a young woman who is exploring her passion for film and wishes to pursue a career in the entertainment industry, I have been shut down on multiple occasions for wanting to pursue such a career path. As this year comes to a close, and a new year makes its way across the horizon, I’d like to share a message for those who are also pursuing their goals as we enter a new year on our journey as passionate young adults. If there’s one thing I’d like to share with my fellow high school journalists, it’s that no one can ever tell you it’s too early to pursue what it is you are passionate about. The countless times I’ve been told that it’s “too early” for me to be concerned with how I’ll become a successful filmmaker is astounding. I can’t even begin to explain what it feels like to be told you’re “too ambitious” in other words. There is no such thing. It doesn’t matter if you wish to become a rocket scientist or a photographer or a journalist. Being told by an adult that you should disregard your pursuit of a successful career because you’re “still too young” is simply ridiculous. We’re forced to make life changing decisions as soon as we’re handed a high school diploma, whether it be deciding where we’ll spend the next four years of our lives while attending a college or university, or even deciding what major we will pursue. There is without a doubt an immense pressure when it comes to making the best decisions for our future and the sooner we are able to give careful thought to these future circumstances, the better the choices we will make for ourselves when the time comes along. Trust me, your future self-will appreciate the fact that you began exploring what it is you wish to pursue, even if your goals change in the long run. That is only natural. Furthermore, you should never feel discouraged by what others may think of your goals. It takes great courage to have an open mind and the willingness to pursue a goal, and anyone who thinks otherwise lacks the ability to focus on their own path in life. That is something one must always keep in mind whenever their dreams are dismissed as mere fantasy. It is also some of the wisdom I’ve acquired throughout the year as my passion for film and television has grown tremendously. Fear is the barrier that prevents us from acquiring what we truly want from this life, whether it be a career, or even something as simple as joy. There have been countless times in which I’ve been unable to produce what it is I truly want to produce when it comes to my filmmaking due to constant fear and doubt. As a sophomore enrolled in Cinematography at Herbert Hoover High School, I struggled greatly in writing a screenplay for my final this semester. The truth is– I knew exactly what I wanted produce the very moment my teacher announced the project. I wanted my film to be a satirical comedy mocking President-elect Donald Trump, but I was extremely hesitant at first. Focusing on such a controversial theme for a mere Cinema final was a huge no-no for me, personally. Fear of criticism and backlash for producing such provocative content wasn’t my intended purpose. That was up until I decided to seek advice from an older adult; in this case, my father. We shared a long discussion regarding how I could approach my project and build upon the message I wanted to convey. To have someone sit down with me and encourage me as the artist I aspire to be was enough to teach me the fearlessness necessary to pursue what is I’m passionate about and the importance of having role models in my life, no matter the possibility of negative feedback when it comes down to the final product. So to my fellow insiders, remember this: There are no limits to your ability to succeed, as long as you’re willing to proceed towards your goals as if no barriers exist. This is something that I’m still learning to accept as we slip into the new year. Before we hop off this one wild ride that was 2016, I’d like each and every one of you to reflect on your goals for the future and determine how you’ll work towards these goals this coming year. 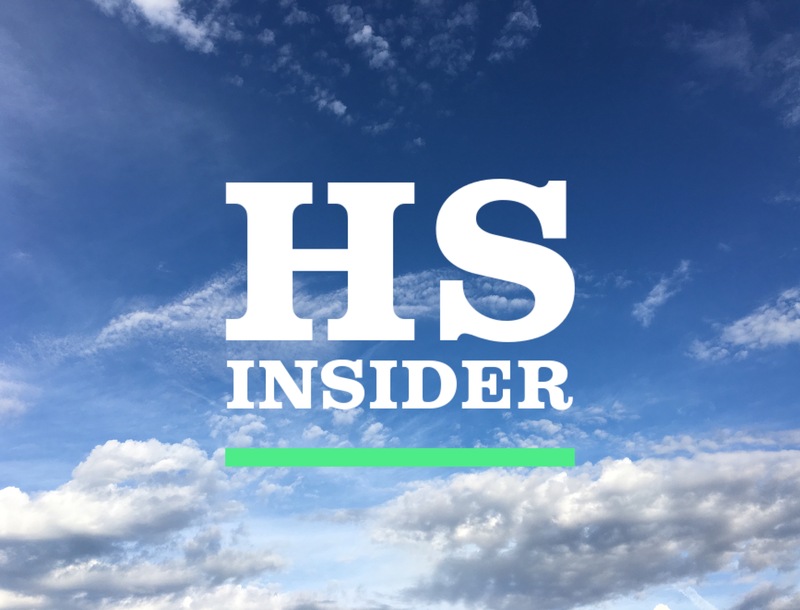 I wish you all the best in your endeavors, from a fellow insider to the rest of the High School Insider community, thank you.